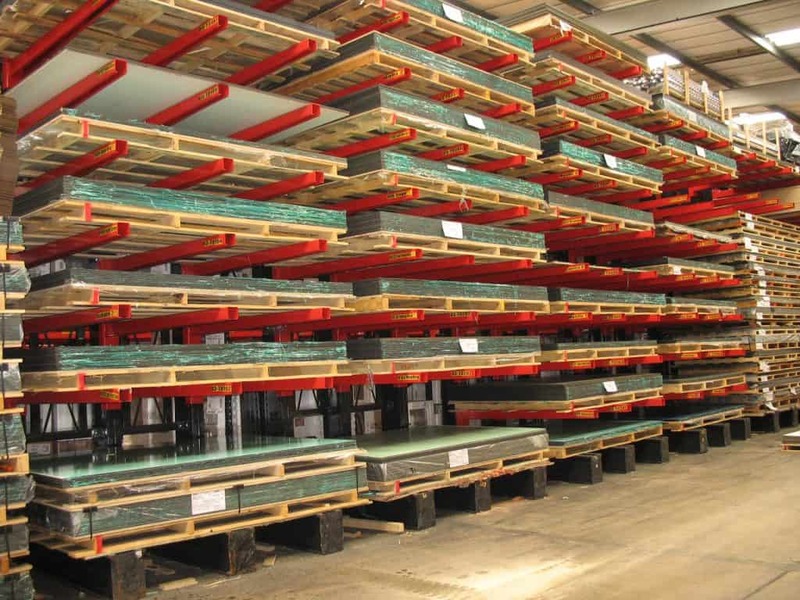 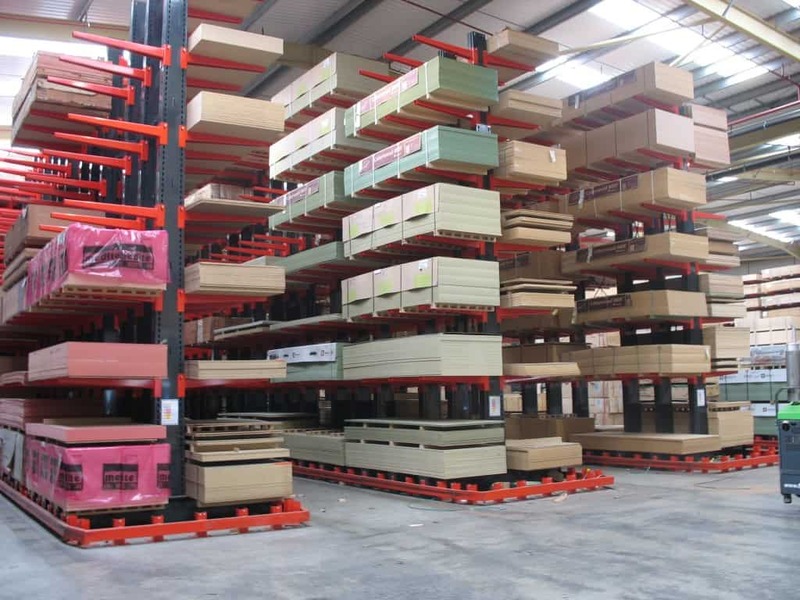 Stakapal have supplied the Furniture and Joinery Industries for over 52 years and our specialist engineering department are skilled at delivering racking solutions to this sector. 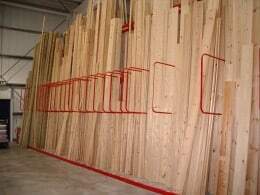 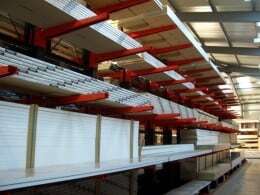 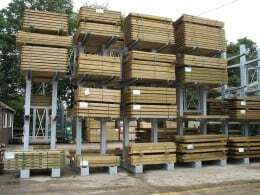 We manufacture Timber Racking, Panel Racking, Softwood Racks and Hardwood Racks as well as MDF Profile Racking,Chipboard Racking and Plywood Storage Racks. 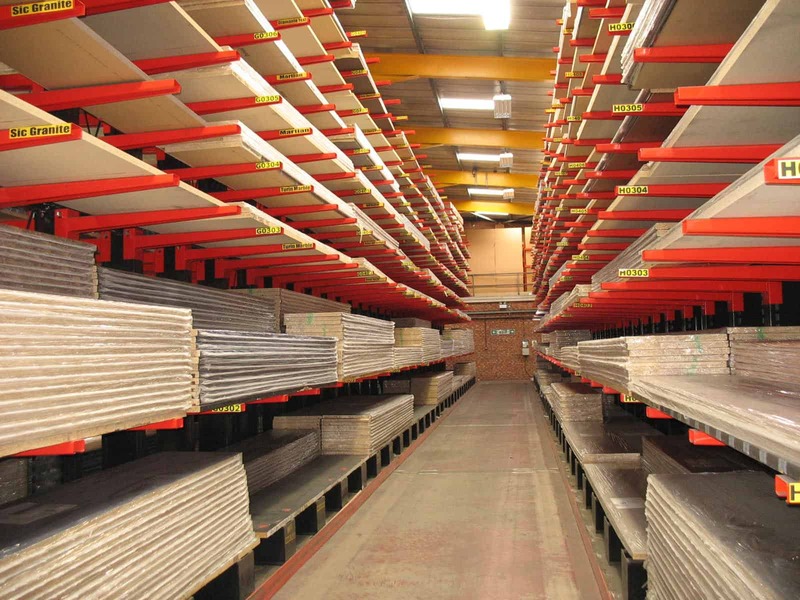 As bespoke manufacturers, we are able to offer our customers the option of just one individual racking bay right through to completely integrated storage and picking systems. 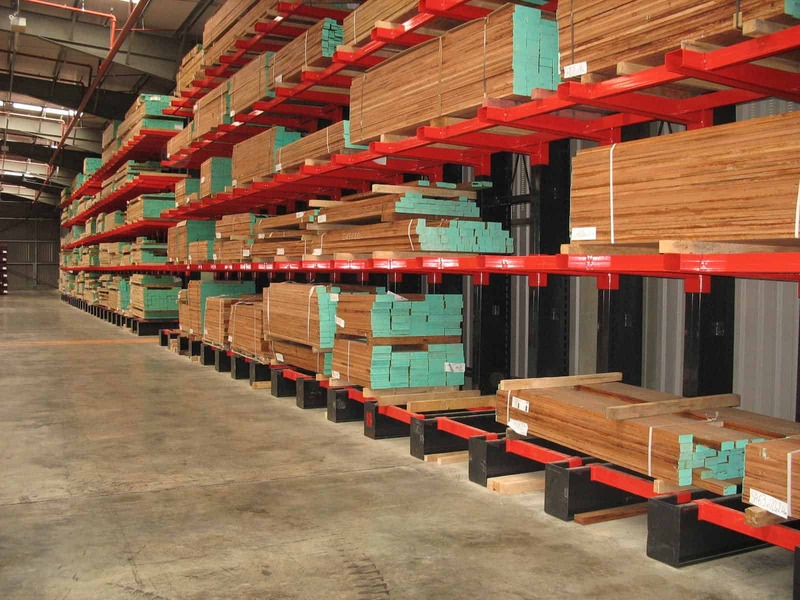 Stakapal Cantilever Racking will fully optimise the available warehouse area when storing Hardwood Timber ensuring uninterrupted access to individual packs of product. 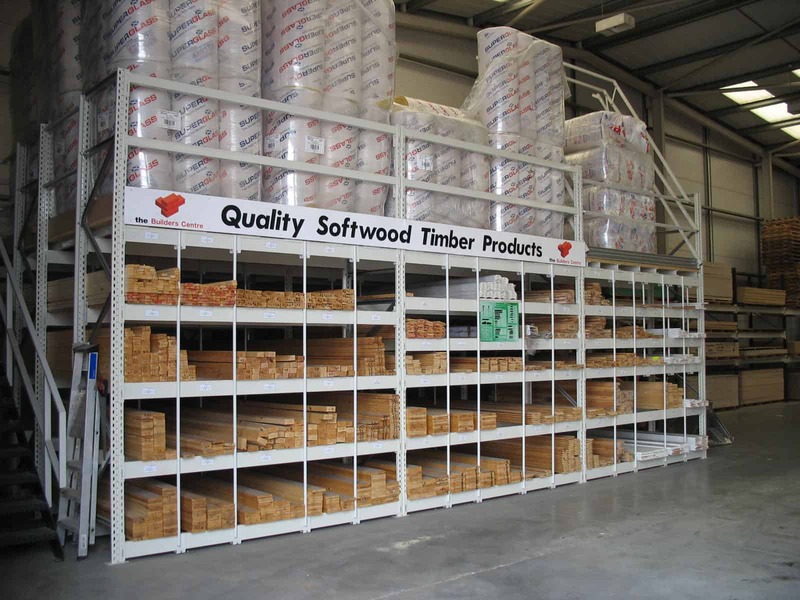 Our A-Frame / Vertical Racks offer manual selectivity of Hardwood Timber products whilst saving you valuable floor space. 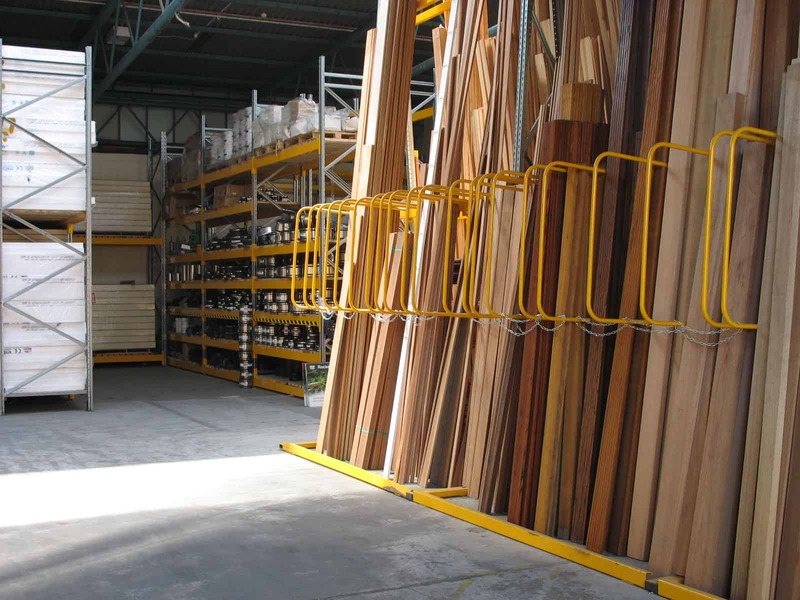 Racks are fully adjustable with the flexibility to store lengths of material up to 6 metres in length with either divider arms or bow dividers dependent on individual preference. 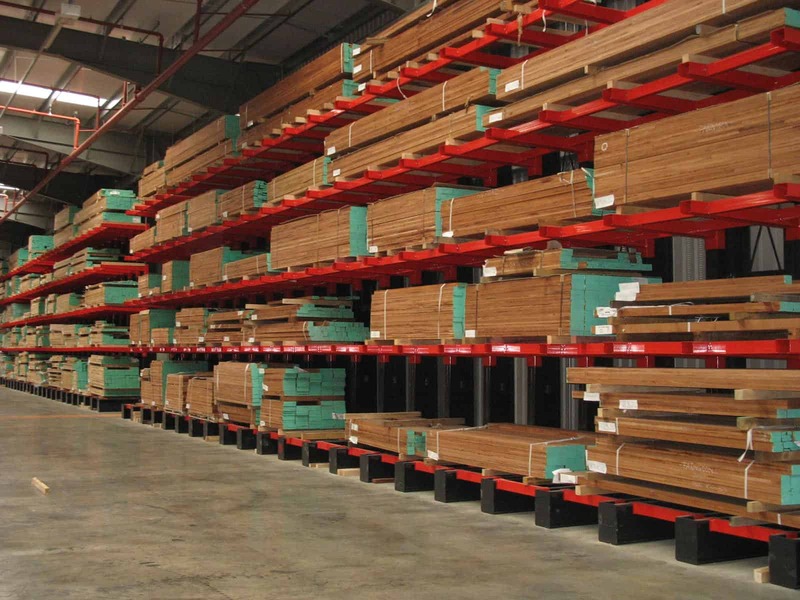 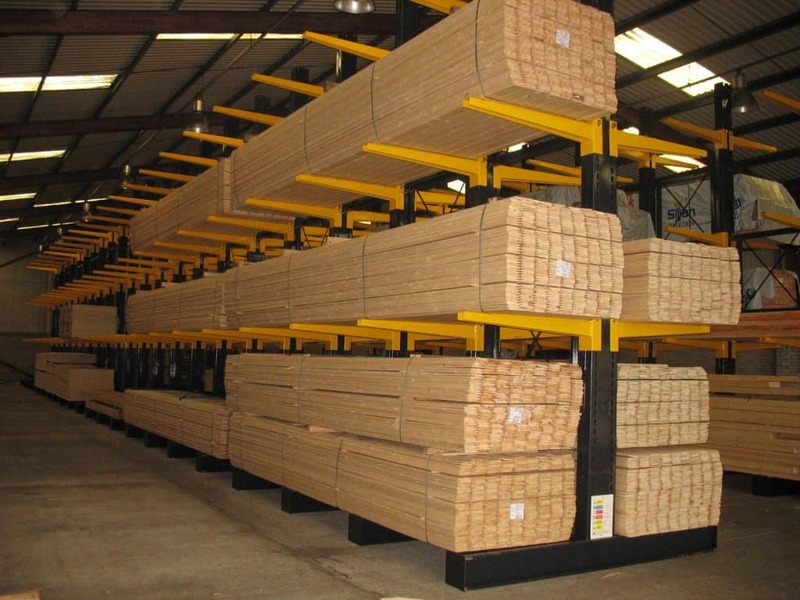 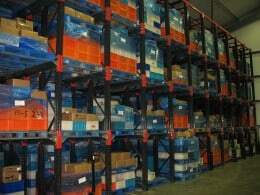 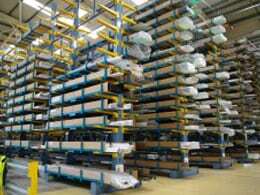 When storing Softwood Timber in any warehouse there are a variety of storage racking solutions. 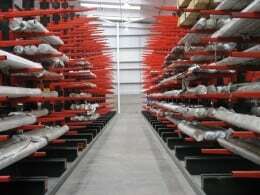 Traditionally Cantilever Racking maximises the available storage area ensuring 100% selectivity when using mechanical handling equipment. 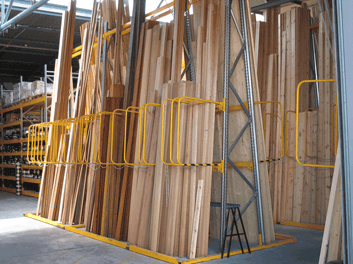 Our A-Frame / Vertical Racks are an excellent option where a manual picking area is required. 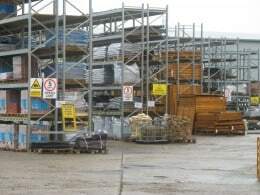 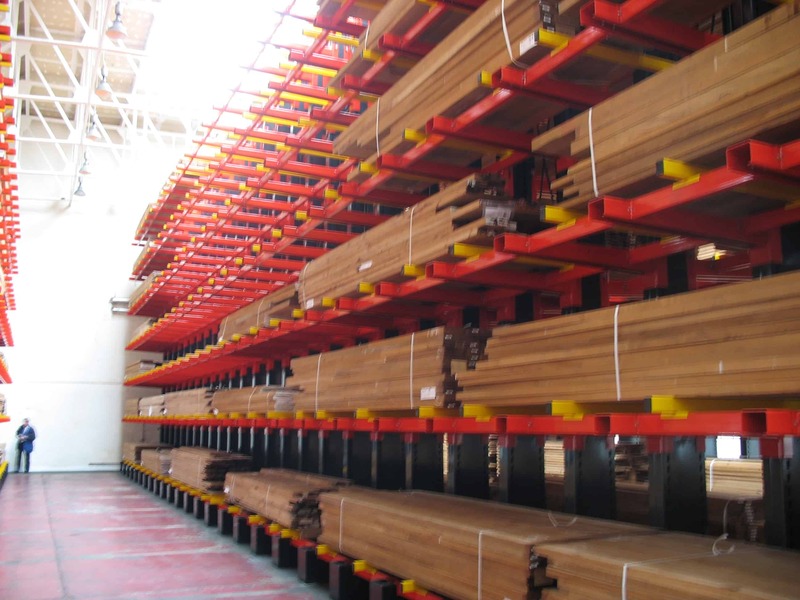 Pigeon Hole Racking enables horizontal storage of a variety of Timber profiles again for manual storage and selectivity away from heavy machinery. 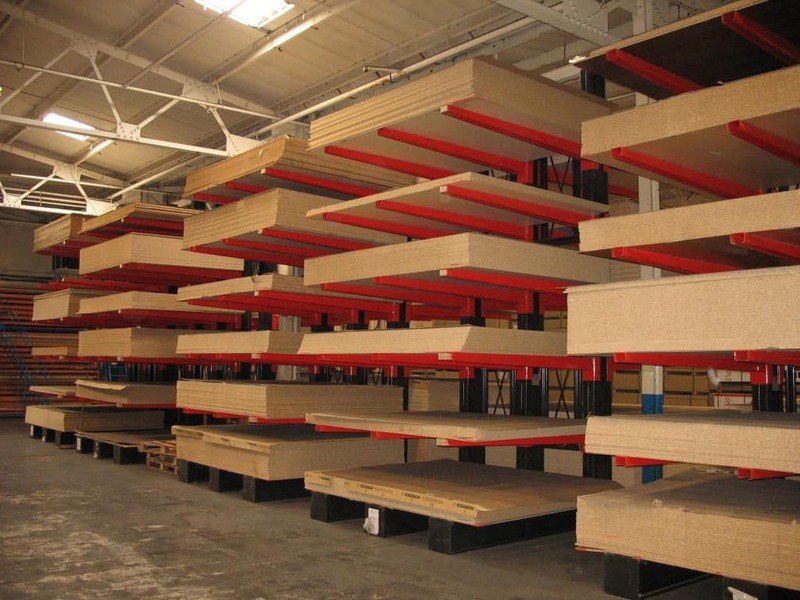 We manufacture Chipboard Racks, Plywood Racks, Melamine Faced Chipboard/MFC Racking, Melamine Faced MDF Rack, MDF Racks, Stirling Board Racking, Door Blank Racking to Decorative Product Racks. 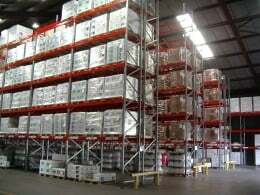 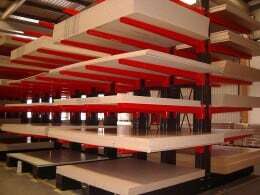 Conventional Cantilever Racking ensures a very safe working environment which is extremely important when storing Panel Products as well as eliminating damage to stock. 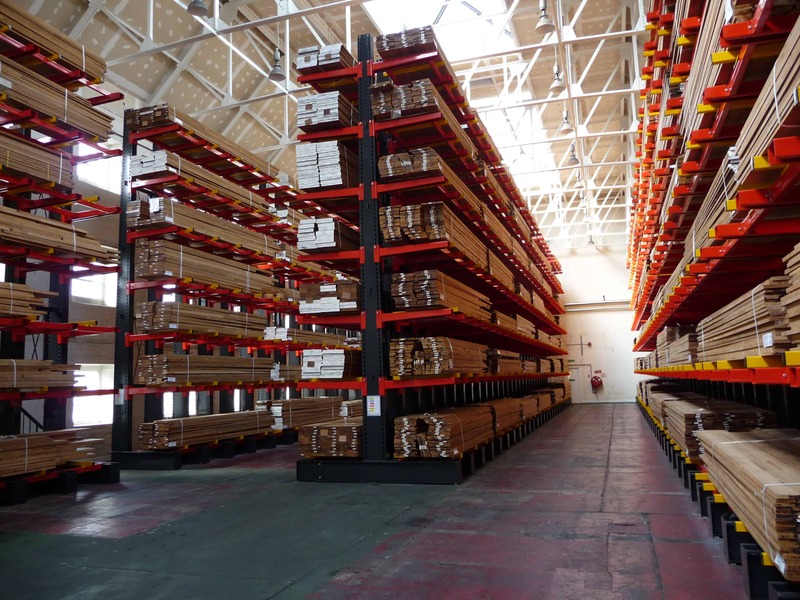 Our Guided Aisle Cantilever Racking utilises specialist trucks guided by a guide-rail system enabling products to be stored at far greater heights.